Following the publication of the Digital Britain report last week, TechRadar caught up with ELSPA boss Mike Rawlinson to quiz him a little more about the Government's recent decision to back the Pan European Game Information (PEGI) system as the UK's single games rating body. 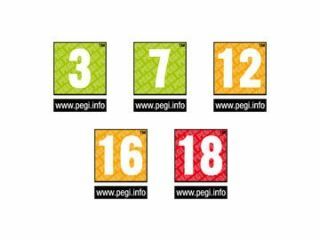 ELSPA (the Entertainment and Leisure Software Publishers Association) has campaigned and lobbied long and hard to establish PEGI as the single system by which games are allocated age ratings depending upon the acceptability of their content to certain age groups. The decision follows a lengthy period of public consultation involving consumers and gamers, the Government, the games industry and the (now-ousted) BBFC, following Tanya Byron's review of the UK's games age-ratings system early in 2008, in which the eminent psychologist identified the fact that the current system was flawed and confusing to consumers (by which, read: parents buying - often inappropriate - games for their kids). TechRadar: Why do you think PEGI was chosen? Mike Rawlinson: Simply put, PEGI is the best games system there is and it is right the UK wants the very best – and because it answered the nine tests of a competent rating system, giving the best possible protection to British children now and in the future. It works whether they are playing online or at home on a games console. It gives a consistent, clear, uniform rating on games and an accurate understanding of game content for parents, and it helps retailers prevent access to unsuitable content to children by PEGI having clear, legal backing. PEGI differentiates linear from interactive content - it was designed to rate games that are interactive and experienced differently by every player who plays them. Films, in contrast, are linear and are a passive viewing experience. The videogames industry deserves and needs an appropriate body rating its content that is independent of industry involvement and which at its core is about protecting child safety however and whenever children are playing games. TR: How does ELSPA respond to criticism that PEGI is not as 'independent' as the BBFC was? MR: The Video Standards Council is responsible for administering the PEGI ratings system. They are an independent regulator and their regulatory decisions are entirely independent of the games industry. The PEGI system is not the games industry regulating itself. It will be funded via the ratings fees, in exactly the same way as the BBFC is funded. TR: What are the plans to establish the new symbols in the public consciousness? MR: The industry has committed to a making a major contribution to awareness and education campaigns, and it's ongoing. We want to ensure as an industry that everyone knows and understands the logos and ratings. It's critical to ensure child safety when playing games. We have just heard the decision but we're already firming up our plans and will give you a sense of what those are shortly, but it will be a major advertising campaign backed up with an educational campaign that will roll out in schools across the country to educate teachers, parents, guardians and children about the new ratings system. TR: How will retailers selling adult games to minors be identified and punished? MR: Previously a small number of games rated 15 and above had legal backing to prevent underage children from being sold the game. Once this new legislation is in place, it'll mean it will be illegal to sell a PEGI rated game to anyone underage for every game rated 12 and above. It's exactly what the retailers have been asking for and the industry has been lobbying for. It will be enforced in exactly the same way as BBFC rated films are. TR: When will we see the new symbols on boxes in store? MR: We're working with the Government and stakeholders now to finalise a date, but we're working towards the quickest implementation we can muster. PEGI logos and descriptors already appear, but the new updated system together with extended written advice on all UK packaging will start to appear late spring/early summer. TR: Does PEGI have the power to ban? MR: No, this power currently resides with the BBFC. Under government proposals this responsibility will transfer to the VSC.